The state of Wisconsin cherishes its spaces to listen to jazz music. In almost every town there is a nearby city that pays tribute to the beautiful genre of jazz several times a week. Close your eyes and feel the music at these five excellent jazz clubs in Wisconsin. Caroline’s Jazz Club has been a favored live music venue and bar in Milwaukee. If you are looking for some of the best local musicians—Caroline’s is the place to be. They gather local jazz and blues artists to perform live. Grab a drink and wait for a some of the best local performances. For the past 40 years, The Jazz Estate has been hosting local and nationwide talented jazz artists. Their fabulous cocktail bar intrigues patrons before and after their intimate jazz performances. Catch their premeditated schedule on their website and Facebook page allow for a high traffic volume at The Jazz Estate. Enjoy live music at Blu’s on Tuesdays, Fridays, and Saturdays. Blu’s is a local favorite martini bar with a great panoramic view of the beautiful downtown Milwaukee. Catch breathtaking views of Lake Michigan while enjoying a cocktail and some soothing live music. The Brink Lounge is a Madison favorite for nightlife. 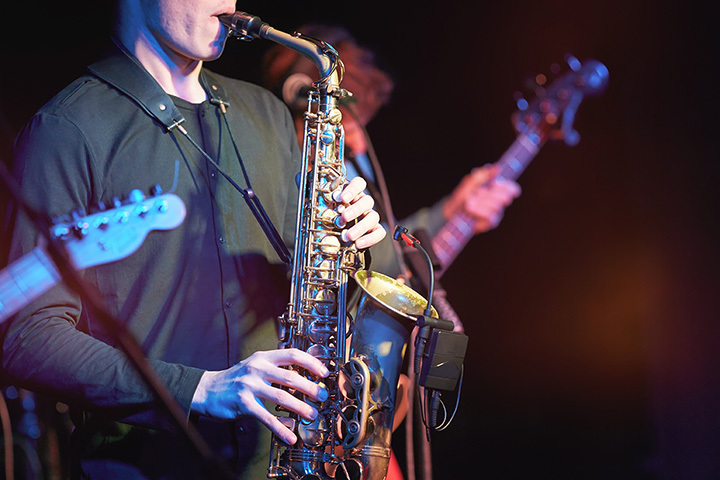 Live jazz and blues music is performed Tuesdays through Saturdays. Featured musicians and bands are both of the local and national type. Madison residents gather from near and far for their notorious live music. The Mason Street Grill is located in the historic Pfister Hotel in Milwaukee. On top of getting a juicy steak they offer live jazz music six nights a week. Each night offering a different local musician who woos the audience with a different form of jazz. View more Wisconsin Jazz Clubs.